Great to see Brad Wall last night and talk about creating good jobs for Canadians. He's been making the case for hard working Canadians in the natural resource sector and the importance of getting Canadian products to market. This is a message I’m proud to carry across the country. Premier Wall is right: government has to create the right conditions for the private sector to succeed, and then get out of the way. Thanks for the warm welcome to Saskatchewan and congratulations again on your election win! Just landed in Regina. Looking forward to spending some time in the Prairies over the next couple days! Je viens d’atterrir à Régina. Je suis enthousiaste à l’idée de passer les prochains jours dans les Prairies! The news that Abu Sayyaf terrorists have executed John Ridsdel is shocking and saddening. All Canadians held out hope that all the innocent civilians that have been taken hostage would be returned safely. We continue to hope for a resolution to this situation where all other hostages will return safely home to their families. Incidents like this should remind all of us that the threat of terrorism remains very real. We must stand with our allies in solidarity against terrorism, which remains the greatest challenge that the world faces today. On behalf of the Official Opposition, I extend my deepest sympathies to Mr. Ridsdel’s family and loved ones. We cannot begin to understand the pain you are feeling today, and we pray that you find peace with one another as Canadians stand with you. Great to attend the Khalsa Day Parade today in Toronto, I met many new friends and had a great time! I had the chance to bring greetings from Her Majesty's Loyal Opposition and the Conservative Party of Canada - Parti conservateur du Canada to the parade. Saw my friend and former colleague Ontario PC Party leader Patrick Brown and TO mayor John Tory great to see you both! So much delicious food with Bob Saroya and Bal Gosal. The Liberals are making life more expensive for middle class families. One of the Liberals’ first tax hikes is to cancel the Children’s Arts Tax Credit that Conservatives brought in a few years ago. The credit helped families pay for things like piano, art, and ballet for kids. So make sure you claim the tax credit this year, since this is the last time you’ll be able to claim the full amount – thanks to Justin Trudeau. Conservatives will keep looking out for families and fighting for your heard-earned tax dollars. The Liberals are making life more expensive for middle class families. One of the Liberals’ first tax hikes is to cancel the Children’s Fitness Tax Credit that Conservatives brought in a few years ago. The credit helped families pay for things like hockey, baseball, or swimming for kids. So make sure you claim the tax credit this year, since this is the last time you’ll be able to claim the full amount – thanks to Justin Trudeau. Conservatives will keep looking out for families and fighting for your heard-earned tax dollars. Great day on the road with MP Gord Brown in eastern Ontario! Started at Grahame's Bakery in Kemptville. They have Canada's oldest wood fired brick oven – it was built in 1885! We then toured the Port of Johnstown, a great local job creator! We threw on hardhats and checked out their facilities. Then it was off to another local job-creator, GreenField Ethanol plant. They support the local economy and help our environment! I was also really happy to be joined by local mayors and councillors at the beautiful Prescott, Ontario (Official) waterfront to plant a tree for Earth Day. Last but not least, we all stopped in at Tim's and made some new friends over tea and coffee. It’s local communities and small businesses like these that make our country what it is. Thanks to everyone for the warm welcomes today – I’ll keep fighting for you in Ottawa. Stopped in at Tim's for a tea. Great to meet Ruth, Steve, Shaun, Bruce, and everyone else. Thanks for the chat! Happy #EarthDay! I'm in Prescott, happy to be joined by local mayors and councillors to plant this tree. Canadians are blessed to live in such a beautiful country, and we all must protect it for future generations. Touring the Port of Johnstown. Amazing facility. Windy day on the roof! The oldest wood fired brick oven in Canada - dating back to 1885. Thanks for showing it to me! Small business is the heart of the Canadian economy. Roadtrip today - visiting Kemptville, Johnstown, and Prescott, Ontario (Official)! On behalf of the Conservative Party of Canada and the Official Opposition, I extend my best wishes to the Jewish community here in Canada and around the world as they prepare to celebrate the Festival of Passover. This evening, members of the Jewish faith will gather at Seder tables with friends and family to commemorate the Jewish people’s Exodus from slavery in ancient Egypt. Passover is also a time to reflect on the lasting strength and spirit of the Jewish people, and to celebrate their resilience against tyranny throughout history. For us in Canada, it is an opportunity to consider those around the world who continue to struggle against their oppressors for basic rights and freedoms. I wish everyone celebrating a Happy Passover! Chag Pesach kasher v’sameach. Families relied on the Children’s Fitness Tax Credit to help pay for their kids sports, but the Liberals cancelled it. Meanwhile, Justin Trudeau is using our tax dollars to jet to New York City for a photo-op in a gym today. Instead of focusing on self-promotion, will Liberals help promote children’s fitness by bringing the Fitness Credit back? Yesterday we called on the Government to recognise the atrocities that ISIL is committing as genocide. The Liberals rejected the motion. In doing that, they let down all those who are being slaughtered, tortured and raped. ISIL is trying to wipe out entire cultural and religious communities in Iraq and Syria. Why is Justin Trudeau refusing to call this genocide what it is – genocide? Wishing Her Majesty Queen Elizabeth II the very best of birthdays! Over the 64 years of her reign, the Queen has earned the great respect, affection and admiration of Canadians and people all over the Commonwealth. This special milestone is an opportunity to honour her for her dedicated, steadfast leadership. I hope Her Majesty enjoys a special celebration with family and friends for this occasion. On behalf of my colleagues in the Official Opposition and my family, I offer the Queen our very best wishes for her health and happiness today on her 90th birthday, and in the coming years. Great to welcome members of the Canada-Ukraine Parliamentary Program Internship earlier today! You have friends in Canada. Heureuse d'avoir accueilli plus tôt aujourd'hui des membres du programme Canada-Ukraine de stagiaires parlementaires. Vous avez des amis au Canada. 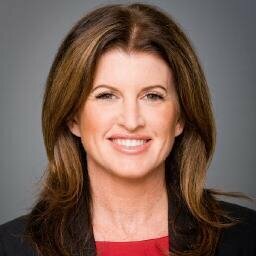 Today MPs voted on whether the Liberals should follow their own code of ethics, apologize for an event that broke that code, and return the ill-gotten money from it. Incredibly, Liberals voted against having to follow their own code of ethics. I just asked all political parties in House of Commons to agree unanimously to call the atrocities ISIS is committing in Iraq and Syria genocide. It’s deeply disappointing that the Liberals refused to call the crimes against Christians, Yazidis, and Shia Muslims what it is – genocide. Conservatives will keep pushing the Liberals to take the threat of ISIS seriously and to fight for religious and ethnic minorities in Iraq and Syria. It doesn’t take an expert in quantum computing to recognize the facts. Yesterday the Parliamentary Budget Officer told MPs – once again – what experts and economists have been saying all along: the Conservative government left the books balanced. But Justin Trudeau and the Finance Minister keep saying the opposite. So why do the Liberals keep contradicting their own officials and misleading Canadians? PARLIAMENT VOTES ON LIBERAL SPENDING PLAN: How did your MP vote? Great news for the people and taxpayers of Manitoba tonight as my former colleague Brian Pallister has been elected Premier along with a majority PC Party of Manitoba Government! I worked for many years with Brian and know he cares deeply about people and will pour his heart and soul into making Manitoba a better place. I’m also happy for my friend and former colleague Steven Fletcher who has been elected MLA for Assiniboia. I know he will represent his new constituents well - just as he did here in Ottawa. Great day on the Hill today but a very busy one! Met with lots of people and groups. April is Daffodil Month and today I showed my support for the Canadian Cancer Society and Canadians fighting cancer. I'm wearing my daffodil for my Dad. It was also Autism Day on the Hill and I had a chance to meet two wonderful young speakers. Then Fast Eddy dashed into Parliament on his journey running across Canada (and back again!) in support of Breast Cancer and Alzheimer's research. Next, I had a chance to talk with BC mayors from NEBC Resource Municipalities Coalition about the importance of getting our Canadian LNG to market. The Canada's International Association of Firefighters also visited today and supported their call for a National Action Plan for PTSD. Last but certainly not least, it was great to chat with the Canadian Franchise Association today. I’m happy to hear about growth of franchises and small businesses in Canada. Looking forward to another busy day here tomorrow! Hi everyone. I’ll be here Wednesday at 3:45pm ET (1:45pm back home in Edmonton) to spend some time answering your questions. If there’s something you want to know, just leave a note in the comments. I’ll answer as many as I can. See you then! Bonjour à tous. Je serai ici mercredi à 15 h 45 (HAE) (13 h 45 chez-nous à Edmonton) pour répondre à quelques-unes de vos questions. Si vous voulez savoir quelque chose, écrivez-le simplement dans les commentaires. Je vais répondre au plus grand nombre de questions possible. À demain! Why does Justin Trudeau keep misleading Canadians? Earlier today, the Parliamentary Budget Officer told MPs that the previous Conservative government left a surplus and that the Liberal numbers don’t add up. In the words of the PBO, "When you don't see the details, usually someone is trying to hide something." The Justice Minister and Attorney General of Canada hosted a private fundraiser with a group of lawyers. But not too long ago the Liberals created a whole new “code of ethics” to supposedly prevent conflicts of interest just like this one. So today I asked Justin Trudeau why he isn't following his own rules. The average Canadian can’t pay $500 for special access to the Justice Minister, so why should Bay Street lawyers get to do it? The worst part: Justin Trudeau’s team doesn’t even think there’s anything wrong with this. We fight for the middle class. Liberals wine and dine the elite. Great time with friends and family at home in YEG! Also caught up with seniors and talked with incredibly hard-working women who are creating local jobs. Back to Ottawa tonight J'ai passé un temps agréable avec des amis et la famille à YEG! J'ai également parlé avec des aînés et avec des femmes qui travaillent extrêmement fort et qui créent des emplois locaux. De retour à Ottawa ce soir. Women are starting small businesses twice as fast - which helps to explain the packed room here. Great to talk at sold out Alberta Enterprise Group luncheon today! Nice to catch up with seniors at Touchmark at Wedgewood Retirement Community here in Edmonton with Kelly McCauley! It’s tax season so make sure you claim the Children’s Fitness Tax Credit for your kids sports - while you still can. The Liberals have cancelled the credit and the 2015 tax year is the last time you’ll be able to claim the full amount. Notice to parents: universal childcare benefits aren't universal anymore! Many families are no longer be eligible. Yesterday I posted an article about misleading numbers in the Liberal budget. But it doesn’t end there. “Today, we got through the propaganda that is the Chart Number 5 in the same budget. And, it too, is a fraud.” If Canadians can’t trust the Liberal numbers, how can we trust the economy is in good hands? Important information for all Canadian parents: Arts classes and programs for your kids are getting more expensive. This is thanks to the Liberal budget cancelling the Children’s Arts Tax Credit. “Budgets are supposed to make sense, and add up, and the one the government presented to Canadians on March 22 simply does not." With summer sports just around the corner, here’s some important information for parents and families. When you sign your kids up for sports this year you will NOT be able to claim the Children’s Fitness Tax Credit anymore, thanks to the Liberals cancelling the credit in their budget. Great time in Toronto today! Here's my Snapchat story from the day. And if you're not following me already, add: Rona.Ambrose For the couple of you who might not know about Snapchat, check it out! Fun way to watch behind the scenes and see what I'm up to. Across Canada there are examples of companies that want to grow and create jobs. Here in Toronto, Porter Airlines wants to buy Canadian-built jets from Bombardier. This would create thousands of jobs, help our aerospace industry, and provide better service for people in the GTA – without costing taxpayers a dime. So why do Justin Trudeau and the Liberals keep blocking these projects? To create jobs, conservatives know that the private sector must be treated like a partner, not a target.